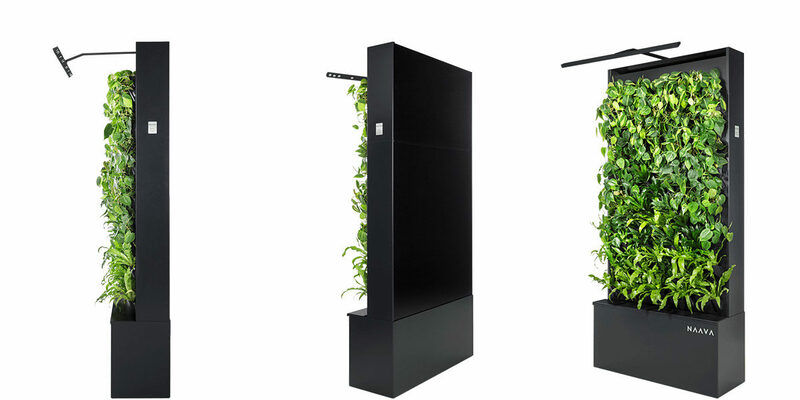 The innovation delivers a system of active biofilters which magnify the air purification power of plants and create fresh, natural air indoors, while also enhancing interior aesthetics through biophilia. 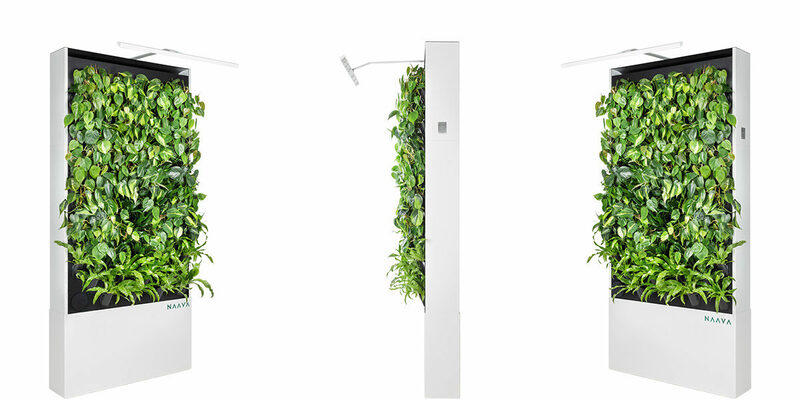 Easy to care, an allergy-free living wall that purifies and humidifies the air. 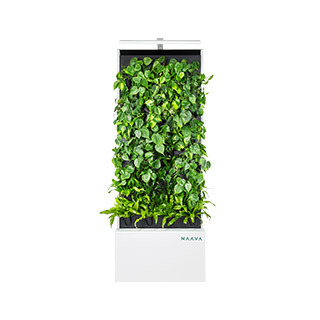 Meet Naava, an AI-powered Living Green Wall. Naava’s design highlights plants’ own beauty. Soilless growth medium and carefully selected plants cause no allergies and harbor no bacteria common to the soil. 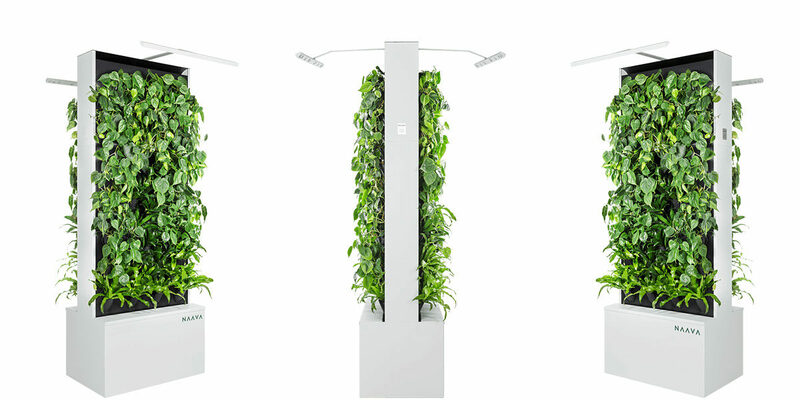 Through the plant’s roots and soilless growth medium, Naava is able to absorb indoor air. Above all, microbes of the roots purify the air of harmful chemicals. In fact, the growth medium is ideal for the microbes dissolving impurities in the plants’ roots. The green wall utilizes microbes of the plant. It is similar to how wastewater treatment plants treat the water. The smart green wall’s overall actions are monitored and controlled. This is done by a remote cloud service. 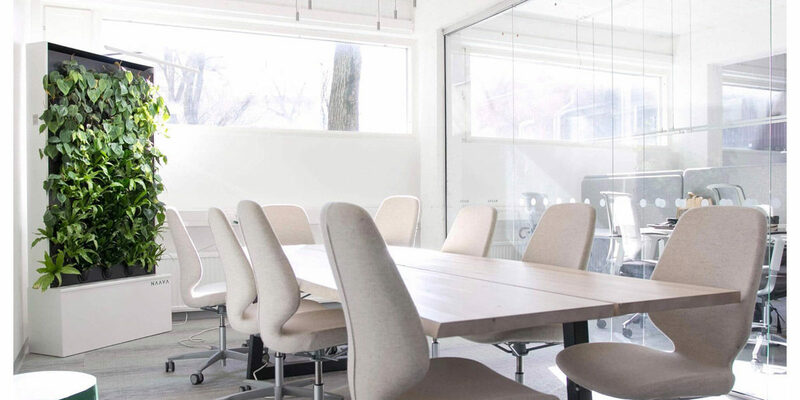 It can optimize and naturalize indoor air regardless of the time of the year or the time of the day. Artificial intelligence also predicts and adjusts its functions depending on the air humidity and outdoor air circumstances.